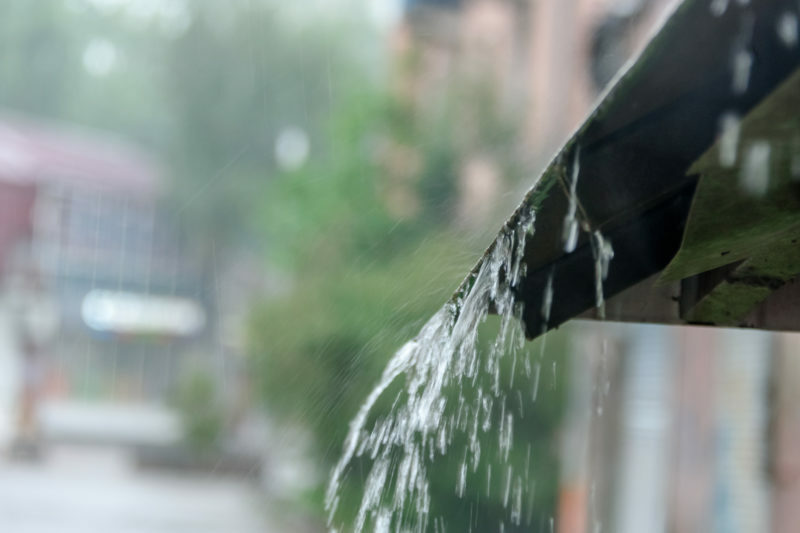 April showers may bring May flowers, but they can also leave you with a leaky chimney. Before summer storms become a part of our Illinois forecast, we have to worry about April showers, and the damage they can leave on our chimneys. One storm may not cause much damage to your chimney, but you also have to wonder what the winter weather did to your chimney. It’s important to have a professional chimney sweep and restoration team look at your chimney before the next rainfall hits. Chimney leaks are often not recognized by the naked eye until they’ve already caused significant damage. There are a few common causes of chimney leaks that you can be aware of before deciding to call a professional chimney sweep and restoration team. Loose or No Chimney Caps – The chimney cap is essential to protecting your chimney, it protects the top of your flue from water entry, along with debris and animals from entering. Without a properly fitted chimney cap, the fireplace and flue are completely exposed to water entry from the rain. Flashing – This is the watertight strip that seals the seam between your roof and the chimney structure. If flashing is installed incorrectly, damaged, or merely loses its seal due to wear and tear or age, water can easily seep through any gaps. This can cause water damage to not only the roof and chimney but also the ceilings and walls around the chimney. Masonry Damage – If one side or part of your chimney is often directly exposed to rainfall or other sources of water, the masonry may deteriorate or become damaged faster than the rest of the chimney. There are a few ways that you can prevent chimney leaks, but you can take action today and schedule your annual chimney sweep with Valley Chimney Sweep & Restoration and have our team waterproof your chimney.